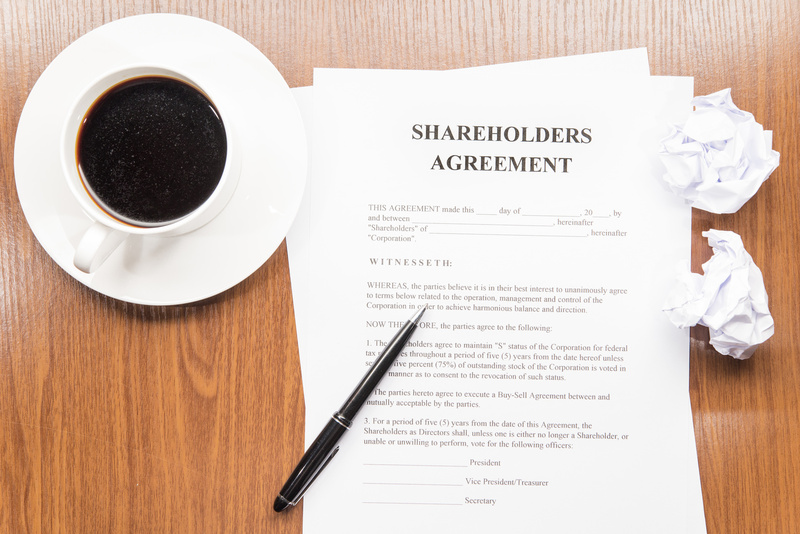 It may seem simple to try and put together a shareholder agreement on your own. However, a carefully drafted shareholder agreement is imperative to how your business functions in the present, but more importantly how you might need to handle things in the future. You will want your shareholder agreement to be carefully drafted to match your business’ specific needs. Even though every shareholder agreement will be different, there are some common components that most shareholder agreements include. The shareholder agreement can outline how often meetings should be held. It can also describe the process for general or special meetings, quorum needed for specific types of matters, and how notices for the meetings should be sent. The addition of theses details not only spells out the procedural process, but also notifies members of their duties and rights as a shareholder.